We are properly trained professionals, ready to help you when needed. Anubis SceneClean is a professional service company available to assist in the clean up of potentially biohazardous situations. We are available with assistance for those who find themselves, family members or friends in need of help due to a traumatic experience or tragic event. As professionals, our Texas cleanup services are available to you not only because of the unpleasant conditions that may be confronting you, but also because of the emotional anguish involved in having to deal with the physical aspects of such circumstances. Our objective is not only to decontaminate each situation in a thorough and professional manner, but also to increase awareness that there is a definite need for our type of service. Biohazard and potentially health-threatening conditions can exist due to contaminates in blood and bodily fluid. Sites of methamphetamine drug labs pose a real and present danger to subsequent occupants if not properly decontaminated, we provide sample testing for apartments and homes. 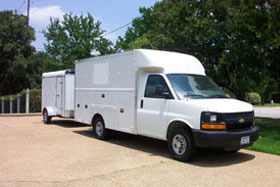 Anyone that has ever experienced a crime scene clean up, murder situation, suicide or death scene clean up, decomposed body fluid removal, blood cleanup in a car, any types of body fluid cleanup, excessive amounts of dog/cat feces, trash or a biohazard clean up understands the necessity for our services. We also specialize in vehicle contamination with ASE Certification. Crime or trauma Scenes where there is a situation that requires cleaning and disinfecting blood or decomposed body fluids from suicides, murders, homicides, biohazard remediation, violent crime, blood borne, dead body fluids, decomposed body, death, accidental death, or any other bio-hazardous material of blood or body fluids scene that needs decontamination in Texas. Hoarding or hoarder scenes that includes homes, apartments, residences, or other dwellings that have become messy, nasty, filthy, unclean, cluttered, dirty, contaminated, polluted, unhealthy, littered, gross, disgusting, unpleasant, sickening, or unsafe for human habitation in Texas. These might also include junk, trash, rubbish, garbage, debris, refuse, waste, feces, urine, animal waste, or any other hoarding or filthy waste that makes the house unlivable in Texas. Often times the disabled, elderly and mentally ill people find themselves in need of this service, and we take extra care to ensure that they are dealt with delicately, professionally and discreetly. We also remove and decontaminate due to Pigeon feces or pigeon poop is especially harmful and can carry diseases such as histoplasmosis in Texas. Dead rats or mice may carry such diseases as hantavirus which can be extremely deadly or dangerous to humans and should only be cleaned by professional bio recovery technicians trained in decontamination. We specialize in cleaning automobiles, trucks, vans, pickups, sedans, cars, police cars, cruisers, and any other auto that might have become contaminated with blood or other biohazardous material in Dallas, Tarrant, Collin County and surrounding areas. Anubis also contracts with cities and counties to clean jails, laboratories, tear gas, finger print dust, clandestine methamphetamine drug lab testing, emergency cleaning, prisons, police cars, squad cars, coroners labs, medical waste, forensic evidence, crime scenes, and any other blood, urine, feces, vomit, or other bio hazardous material encountered in the course of law enforcement facilities and vehicles. Anubis technicians are also certified in the decontamination and cleaning of methamphetamine laboratories, meth labs, but currently we are only providing the testing for the presence of Meth. Anubis also cleans and decontaminates scenes that include HIV, aids, human immunodeficiency virus, anthrax decontamination, biological terrorism, mildew, or other potentially harmful bio hazardous materials that can be found in homes, business, restaurants, or other habitable structures in Texas. We are not a licensed contractor in the remediation of black mold, but if a situation requires those services, we can recommend a licensed contractor. Anubis contracts with public and private agencies to provide cleanup of biohazardous spills or other causes of contamination and industrial accidents requiring remediation in Dallas, Tarrant and surrounding Counties. These can involve bird excrement, blood, urine, vomit or a variety of other biohazardous situations that need to be cleaned. Anubis technicians are also trained to clean, decontaminate, or remove rotted meat, spoiled food, unclean refrigerators or freezers or any other potentially harmful decomposing material that can be found in an abandoned residence or apartment in Texas. Anubis has highly technical equipment that is used to remove cigar and cigarette smoke smell from homes or businesses that have a strong smoke residue or odor. These remediation situations can take several days, but are highly effective in removing the unpleasant cigarette or cigar smoke smells, mold smells, mold spores, or other unpleasant odors. We are not trained in the remediation of black mold but can recommend licensed contractors in that field if a particular job requires a licensed mold remediation contractor in Texas. Our biohazard cleaning service covers all forms of biohazard material from biohazard blood and decomposition to biohazard waste and sharps in Texas due to suicides, homicides or accidents. Anubis is proud to work closely with law enforcement and police stations to provide quick and prompt service to victims of crime and special victims that are in need of our recovery services in Texas. The Occupational Safety and Health Administration of the U.S Department of Labor defines bloodborne pathogens as micro-organisms present in human blood that can cause diseases in humans. These include the hepatitis B virus (HBV) and human immunodeficiency virus (HIV). Many types of bodily fluids are considered potentially infectious. We recommend the use of proper professionally trained technicians to handle clean up and treatment with EPA Registered Hospital Grade Disinfectants. We also specialize in cleaning trash filled foreclosure properties that are bank owned REO where the homeowner left the house in filthy, unsanitary conditions. We remove all of the trash, refuse, waste, junk, furniture, rubbish, clutter from distressed and unsanitary properties. We come in and help the realtor, the bank or the city to clean out the gross filth and trash in homes caused by hoarders or collectors so that repairs can be done and the property made livable again. Crime and Trauma Scenes where there is a situation that requires cleaning and disinfecting due to blood or decomposed body fluids from suicides, murders, homicides, bio hazard remediation, violent crime, blood borne, dead body fluids, decomposed body, death, accidental death, or any other bio-hazardous blood or body fluids scene that needs decontamination of a structure or belongings. Often we are referred by local law enforcement or crime scene victims assistance services. Our crime scene clean up services in Texas are available in the Dallas/Ft. Worth Metroplex and many surrounding areas. If you are outside our service area, we will be happy to help you locate another company near you. Provides biohazard services in but not limited to: Addison, Alvarado, Aledo, Allen, Argyle, Arlington, Aubrey, Azle, Bedford, Benbrook, Blue Mound, Bonham, Bridgeport, Burleson, Carrollton, Cedar Hill, Celina, Cleburne, Cockrell Hill, Colleyville, Collin County, Commerce, Cooke County, Coppell, Corinth, Dallas, Dallas County, Decatur, Denison, Denton, Denton County, DeSoto, Double Oak, Duncanville, Eagle Lake, Eagle Mountain, Erath, Ellis County, Ennis, Euless, Farmers Branch, Farmersville, Flower Mound, Forney, Fort Worth, Frisco, Garland, Glen Heights, Granbury, Grand Prairie, Haltom City, Henrietta, Highland Park, Highland Village, Hood County, Hunt County, Hurst, Hutchins, Irving, Jack County, Grapevine, Greenville, Jacksboro, Justin, Kaufman County, Keller, Kennedale, Krugerville, Krum, Lake Dallas, Lake Worth, Lancaster, Lewisville, Little Elm, Mansfield, McKinney, Mesquite, Murphy, North Richland Hills, Northlake, Oak Point, Parker County, Palo Pinto County, Pilot Point, Plano, Princeton, Prosper, Richardson, Richland Hills, River Oaks, Red Oak, Robson Ranch, Southlake, Roanoke, Rockwall, Rowlett, Royce City, Sachse, Sanger, Seagoville, Springtown, Sherman, Saginaw, Somervell, Tarrant County, The Colony, Trophy Club, Sulphur Springs, Terrell, Tyler, University Park, Waco, Watauga, Waxahachie, Weatherford, West, Westworth Village, White Settlement, Wichita Falls, Willow Park, Wilmer, Wise County, Wylie.